Group members Alexandra Alexander, Tilly Tile, Bruce Sprungsteen and Giuseppe Smith are now relaxing after receiving a passing grade for their IT assignment. The group members, who just days ago were ready to murder each other, now find themselves reminiscing on what “fun” they had, while basking in a post-assignment glow. 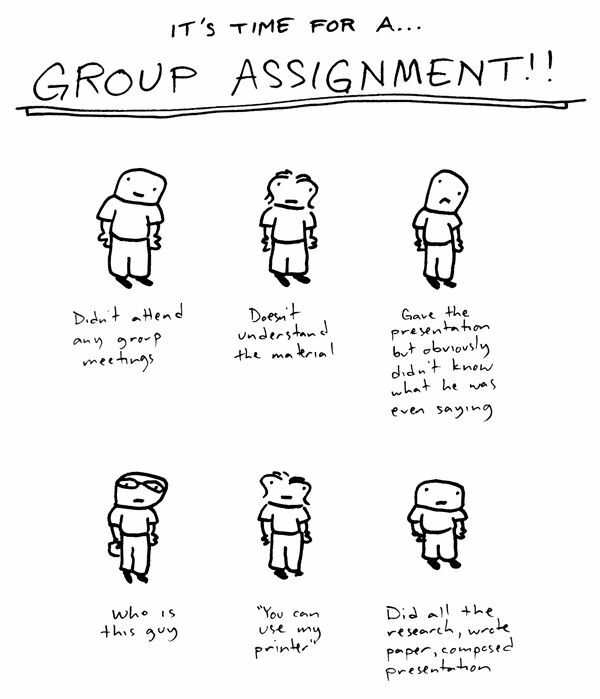 The group members, having had started the year in a positive fashion found themselves yet again in the turbulent, hate-filled group assignment environment, where grades are dependent on levels of procrastination and the social lives of group members. The group spent the rest of the day drinking and laughing nervously as the many imagined murders during the assignment’s duration came to light. Later that evening, each group member confessed privately that is was them and them alone who won the team their much deserved pass grade.